At most universities, meal plans allow college students to take advantage of on-campus cafeterias or chow down at local restaurants. 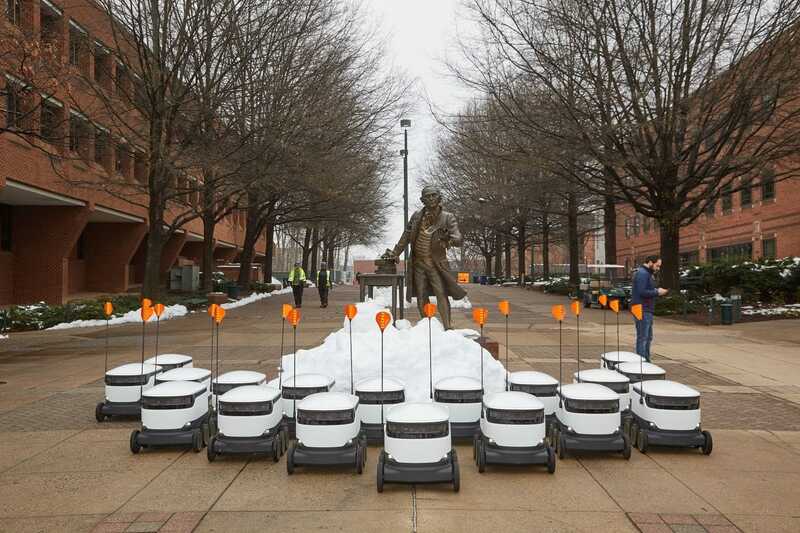 Now, writes The Washington Post (Jan. 22, 2019), thousands of students at George Mason University will have another dining option at their disposal: on-demand food delivery via an autonomous robot on wheels. The school has a fleet of 25 Starship Technology delivery robots that can haul up to 20 pounds each as they roll across campus at 4 mph. Robots make deliveries in 15 minutes or less. GMU is the first campus in the country to incorporate robots into its student dining plan and has the country’s largest fleet of delivery robots. The company’s app allows GMU students to order food from places such as Blaze Pizza, Starbucks and Dunkin,’ as well as a grocery store and other options. Once an order has been placed, users drop a pin where they want their delivery to be sent. The robot’s progress can be monitored using an interactive map. Once the machine arrives, users receive an alert, allowing them to unlock the robot using the app. The delivery cost–$1.99. Would this be popular and efficient on your campus? What concerns might you have regarding this new concept?